This week marks 20 years since the devastating genocide which occurred in Rwanda. Tucked away on the epic African continent - despite a very painful and recent past - stepping foot in this incredible country opens our eyes to the recovery, regeneration and optimism adopted by such resilient people. Life today in this beautiful, emerald green country bears no relation to the darkness that descended over the nation in 1994, and to find it would mean looking into the hearts and minds of its people where such memories lie buried. Rwanda has come a long way since the horrific events that took place in 1994 and although we reflect upon this with deep sadness, we feel it is also appropriate to celebrate the country’s growth, development and transformation into the land we witness today. For those who have never ventured here, Rwanda’s northern mountainous rainforests are truly sacred. Recognised as a World Heritage Site, this is one of the very best places on Earth to get close to the mighty mountain gorillas. For such a small country there are truly magical experiences rarely found anywhere else in the world. 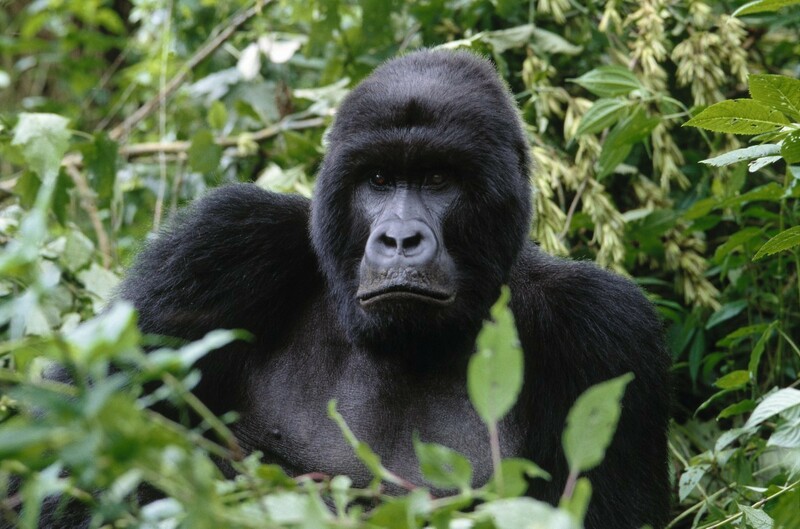 Stepping foot in the Rwandan rainforest is one of the most special wildlife encounters you can experience - sitting face to face with a gorilla you can just imagine how majestic these animals are and it is here that you can capture the epic proportions of these creatures in their natural habitat. An unbelievably rare and wonderful sight. To the south of the country expect to encounter meetings with troops of chimpanzees found in the Nyungwe National Park. Here there are over 400 resident chimps and amongst others species of primates, the region is teeming with life and a vibrancy of nature difficult to capture elsewhere. Chimpanzees, like gorillas, share many similarities with ourselves, in fact they are only one chromosome away from homo-sapiens. The traits we share with these familiar beings make an encounter with them utterly captivating. Witnessing their personal interactions, social hierarchy and how they use tools in their environment to benefit themselves will truly astound. The area is also home to more than 300 species of birds, lush flora and fauna, along with exotic butterflies making it a naturalist’s paradise. Thinking back to the tragic events of 1994, we must not forget its place in this country’s troubled history. You can see evidence of this in the town of Butare where The Murambi Genocide Memorial Centre will serve as a sombre reminder of how things once were. Perhaps it’s worth reflecting upon in a country that has been through such testing times in order to fully appreciate how far things have moved forward. Much is now being done with regards to wildlife conservation in Rwanda and with excellent projects and campaigning such as WWF’s Virunga National Park; things certainly seem to be moving in the right direction. Wildlife is still in a fragile state irrespective of the incredible work being done here and we must do all we can to protect it. With a “last chance to see” mentality prompting many visits to this diverse part of the planet, it strikes us as an apt time to introduce our expert African Trip Planner, Jonny Stage (+44 203 358 0110), who would be thrilled to share his knowledge and expertise with a view to crafting your own highly personalised journey through the heart of one of Africa’s most precious corners.